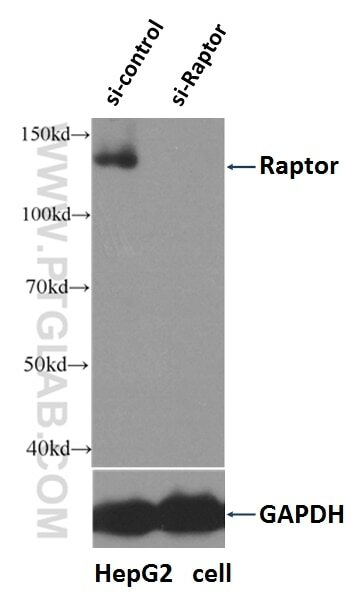 WB result of Raptor antibody (20984-1-AP, 1:500) with si-control and si-Raptor transfected HepG2 cells. 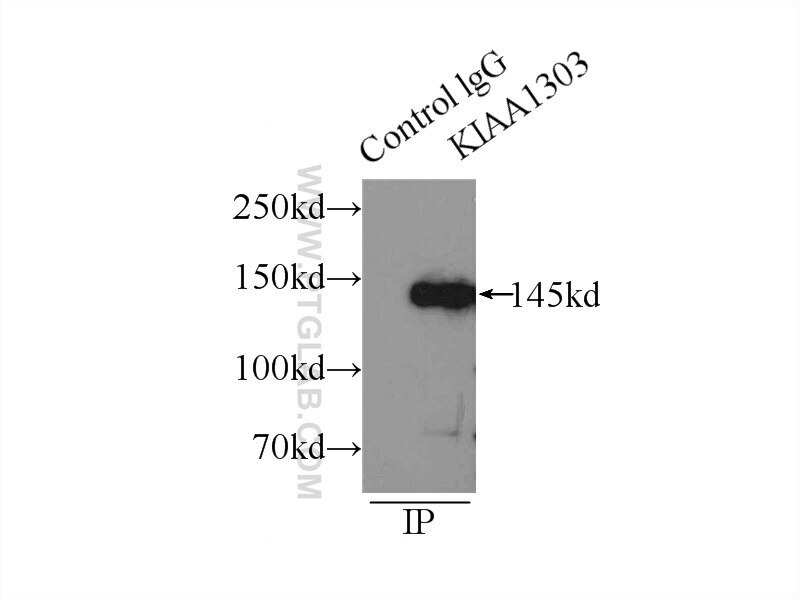 IP Result of anti-Raptor (IP:20984-1-AP, 4ug; Detection:20984-1-AP 1:1000) with HeLa cells lysate 1505ug. 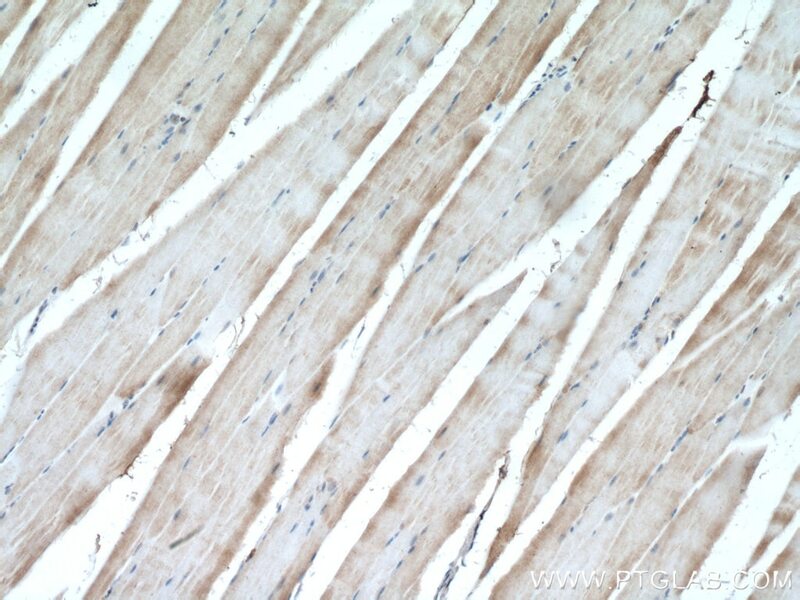 Immunohistochemical analysis of paraffin-embedded mouse skeletal muscle tissue slide using 20984-1-AP (Raptor antibody) at dilution of 1:200 (under 10x lens) heat mediated antigen retrieved with Tris-EDTA buffer(pH9). 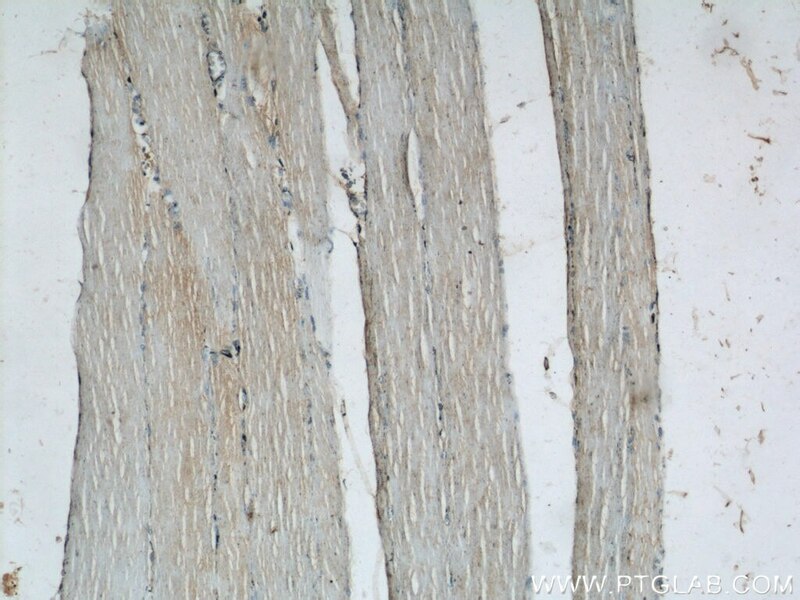 Immunohistochemical analysis of paraffin-embedded mouse skeletal muscle tissue slide using 20984-1-AP (Raptor antibody) at dilution of 1:200 (under 40x lens) heat mediated antigen retrieved with Tris-EDTA buffer(pH9). RPTOR, also named as KIAA1303 and RAPTOR Belongs to the WD repeat RAPTOR family. 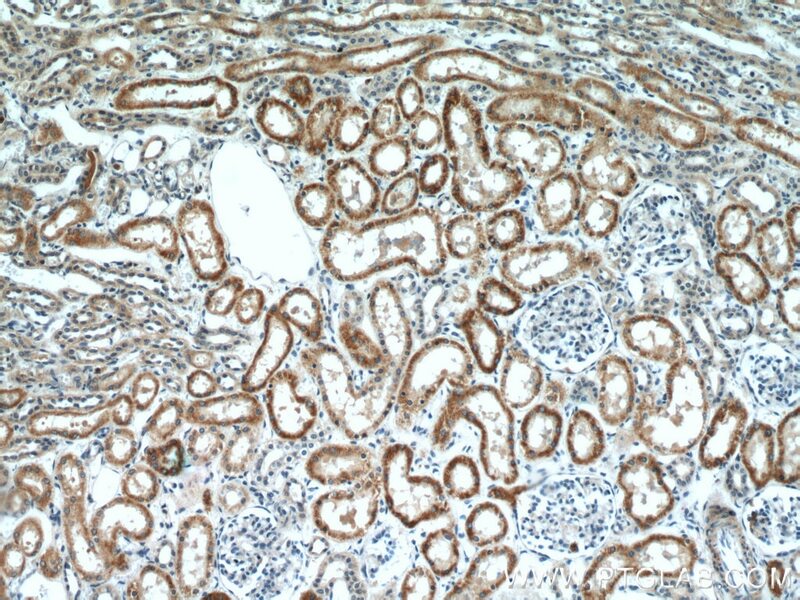 It is involved in the control of the mammalian target of rapamycin complex 1 (mTORC1) activity which regulates cell growth and survival, and autophagy in response to nutrient and hormonal signals; functions as a scaffold for recruiting mTORC1 substrates. 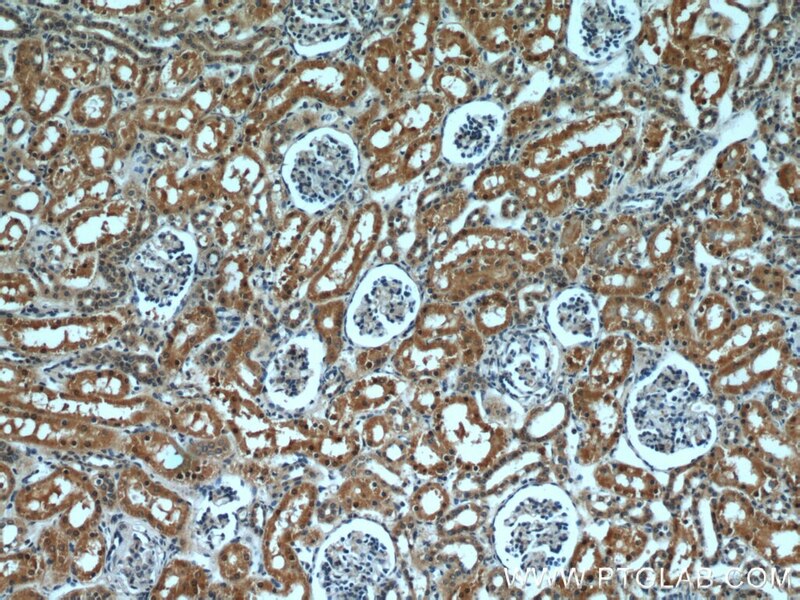 mTORC1 is activated in response to growth factors or amino-acids. 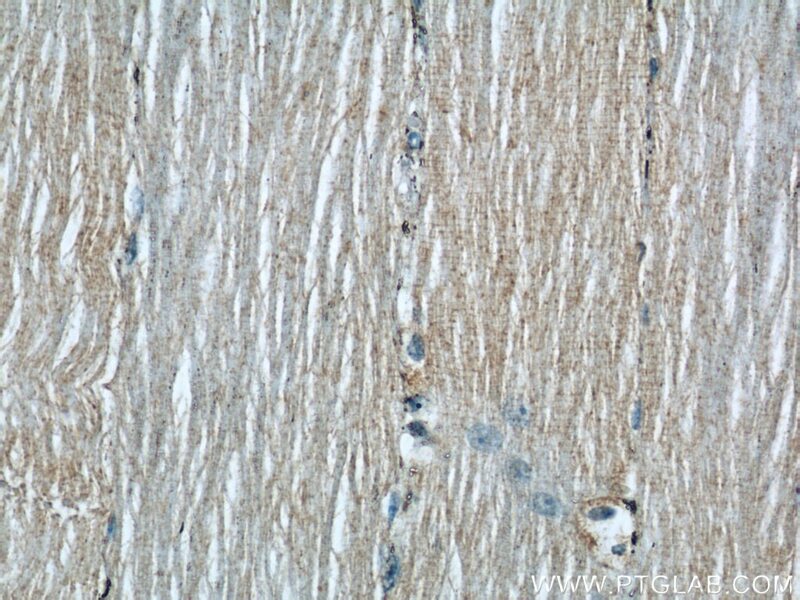 Amino-acid-signaling to mTORC1 is mediated by Rag GTPases, which cause amino-acid-induced relocalization of mTOR within the endomembrane system. Activated mTORC1 up-regulates protein synthesis by phosphorylating key regulators of mRNA translation and ribosome synthesis. mTORC1 phosphorylates EIF4EBP1 and releases it from inhibiting the elongation initiation factor 4E (eiF4E). mTORC1 phosphorylates and activates S6K1 at 'Thr-389', which then promotes protein synthesis by phosphorylating PDCD4 and targeting it for degradation. 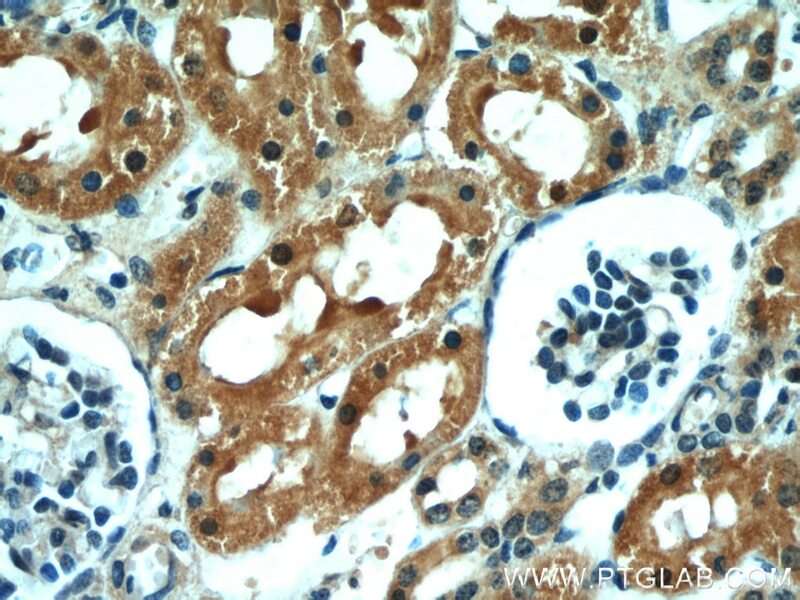 The antibody is specific to RPTOR. 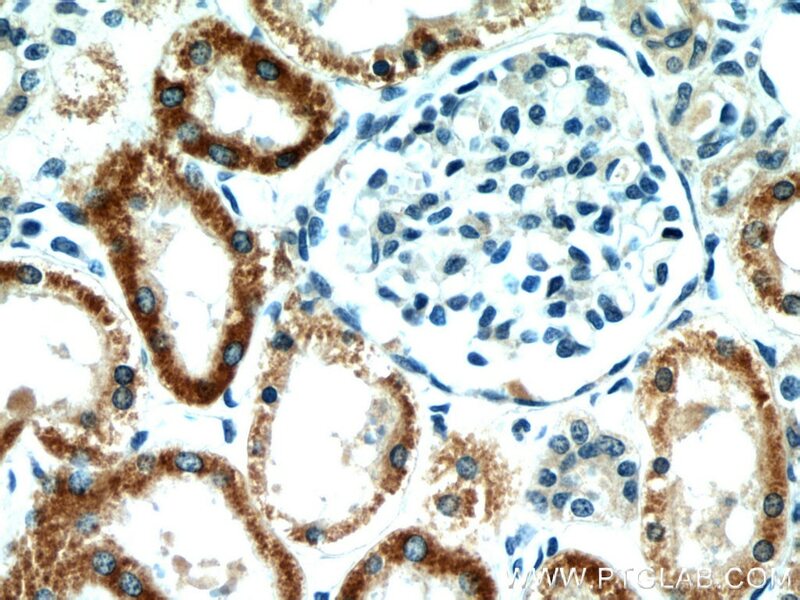 Thioredoxin-interacting protein deficiency alleviates phenotypic alterations of podocytes via inhibition of mTOR activation in diabetic nephropathy. 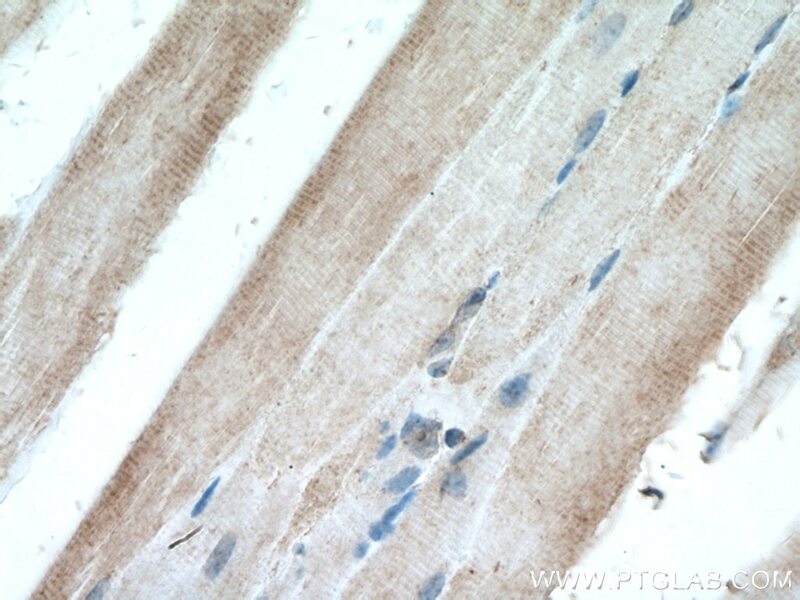 mTOR-S6K1 pathway mediates cytoophidium assembly. 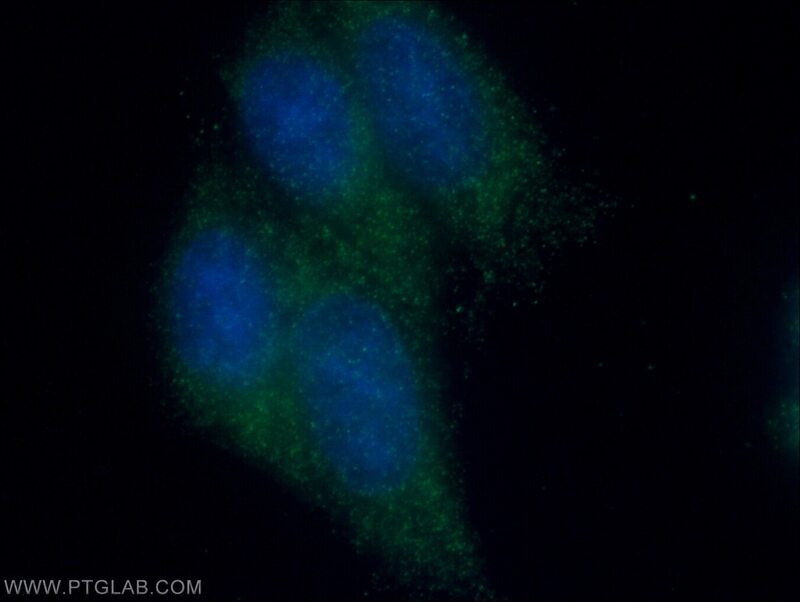 The HGF-MET axis coordinates liver cancer metabolism and autophagy for chemotherapeutic resistance. 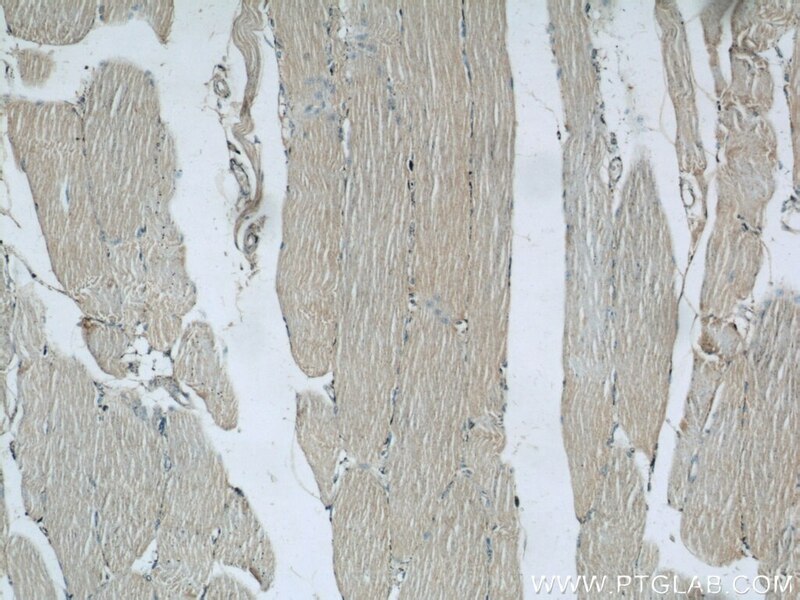 Ghrelin promotes hepatic lipogenesis by activation of mTOR-PPARγ signaling pathway. 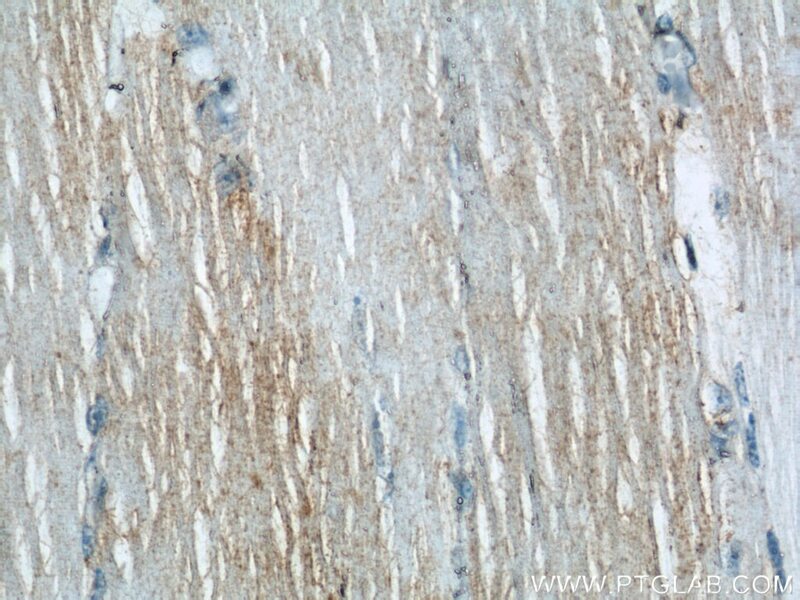 Arctigenin exerts anti-colitis efficacy through inhibiting the differentiation of Th1 and Th17 cells via an mTORC1-dependent pathway. Endostatin Prevents Dietary-Induced Obesity by Inhibiting Adipogenesis and Angiogenesis.